The length of time cooked lobster will stay fresh varies, but knowing what to look for will help you determine how long you can safely store your cooked lobster. A lobster that you cook while it is alive will stay fresh longer than lobster you kill before putting it in the pot. There is no way to determine how long a frozen lobster will stay fresh after cooking, since you can't determine how long it was dead before someone froze it. Lobsters that entered the deep freeze immediately death will retain most of its nutrients, provided you cook it immediately after thawing. A well done lobster that was alive when it was cooked might stay fresh for up to five days. Medium-rare lobster will stay fresh for a maximum of three days. To ensure a lobster is safe to eat, make sure it reaches an internal temperature of 180 degrees F while it cooks. After cooking, this lobster should stay fresh in the refrigerator for approximately four to five days. Remember that a lobster will retain most of its flavor if you refrigerate it and eat it within two days of cooking. Cooked lobster should be refrigerated at 34 to 40 degrees F, and it will retain its freshness for three to four days. If you freeze the lobster, it will stay fresh for up to three months. When you remove the lobster from the freezer, use it immediately or place it in the refrigerator, set between 34 and 40 degrees F, and use it within three days. Cooked lobsters should be wrapped individually in polythene or placed into airtight containers before they are refrigerated or frozen. 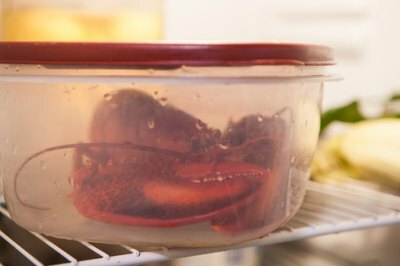 They should never be stored beside raw lobsters because bacteria can be transferred from raw food to cooked. Cooked lobster should be cooled slightly before it is placed into a refrigerator or freezer, as the heat from very warm foods can drop the temperature inside the unit to unsafe levels. 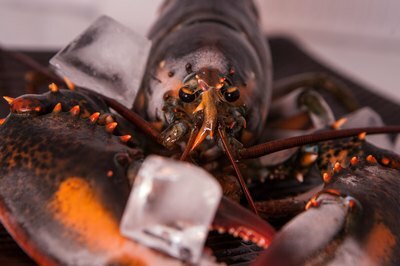 You can cool the lobster quickly by shocking it in ice water, or you can run it under cool water for a few minutes. To determine the freshness of cooked lobster, utilize your senses of sight, smell and touch. 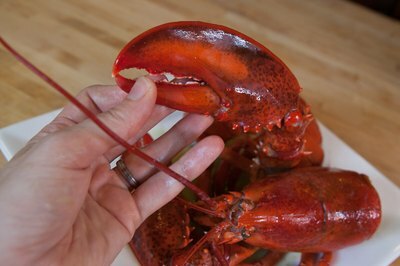 If the lobster feels slimy or mushy, looks dull or smells "off" or too fishy, throw it out. Cooked lobster that is still fresh should be firm and bright and exude a fresh, sweet scent. 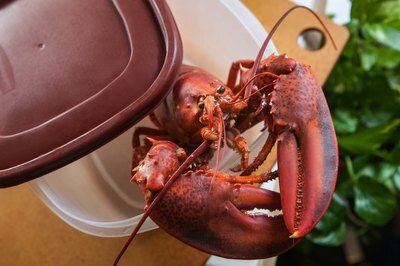 Cooked lobster can be stored in the refrigerator, or frozen to last even longer. How Long Does it Take to Boil a Lobster? How Long Can Turkey Soup Last in the Refrigerator?